Earlier this year, we announced new Akismet + VaultPress bundles available from Akismet.com. 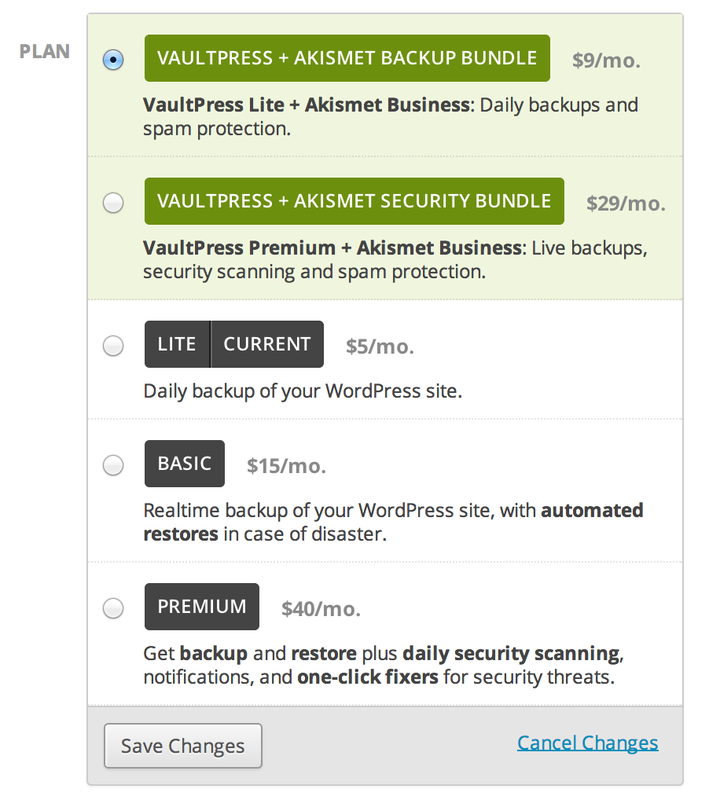 Now you can sign up for a bundle from VaultPress.com too, to protect your site from security threats, unforeseen disasters, and spam. Head over to our plans page to take a look. If you’re already a VaultPress user, you can take advantage of the bundle savings too. 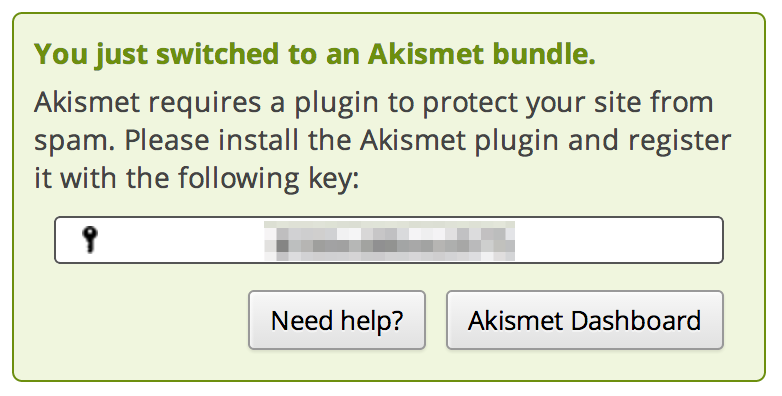 Just visit the Subscriptions & Billing page in your VaultPress dashboard and click “Change Plan” to switch to an Akismet Bundle. When you switch to a bundle, you’ll be given a new Akismet key instantly. If you have any questions, let us know at vaultpress.com/contact/. Happy bundling!